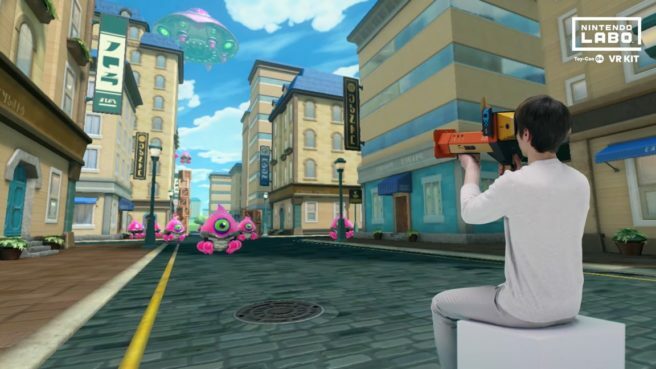 Not too long ago, Nintendo announced that Nintendo Labo would be back in April with a brand new VR Kit. However, we didn’t really hear about the kinds of things that would actually be included. That has now changed. Nintendo has put out an announcement plus a new video detailing what’s inside Nintendo Labo VR Kit. The lineup includes Ocean Camera (Toy-Con Camera), House Camera (Toy-Con Camera), Marble Run (Toy-Con Elephant), Doodle (Toy-Con Elephant), Bird Dash (Toy-Con Bird, Toy-Con Wind Pedal), Blaster (Toy-Con Blaster), Kablasta (Toy-Con Blaster), Hop Dodge (Toy-Con Wind Pedal), and VR Plaza (all Toy-Con creations).